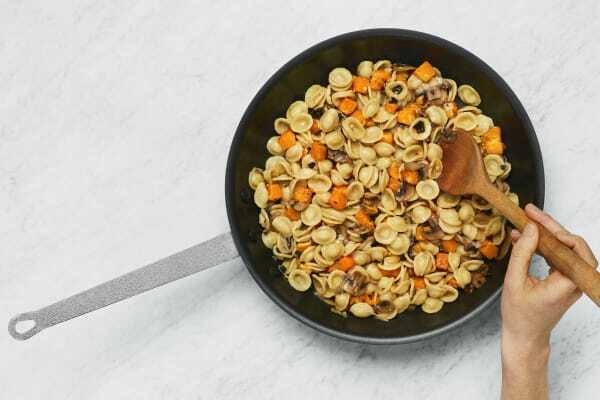 Orecchiette literally means, “little ears.” A very fitting noodle for this dish, as this bowl of pasta is like music to ours. 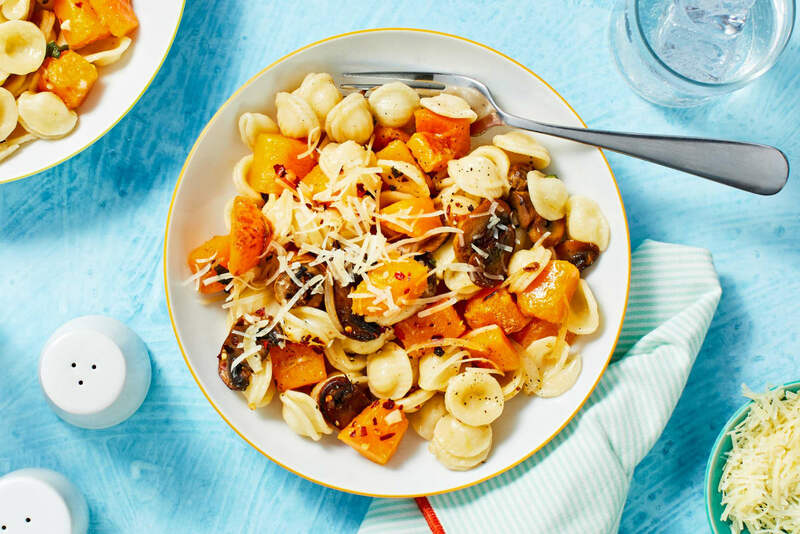 It’s bursting with peak-season produce like sweet, tender butternut squash and earthy mushrooms. Everything is tossed with fresh sage and garlicky herb butter, then sprinkled with Parmesan. Add some chili flakes, too, if you crave a kick. Listen closely, is that a dinner bell? Bring a large pot of salted water to a boil. Add pasta and cook, stirring, until al dente, 15-17 minutes. Reserve ½ cup pasta cooking water, then drain. Meanwhile, wash and dry all produce. 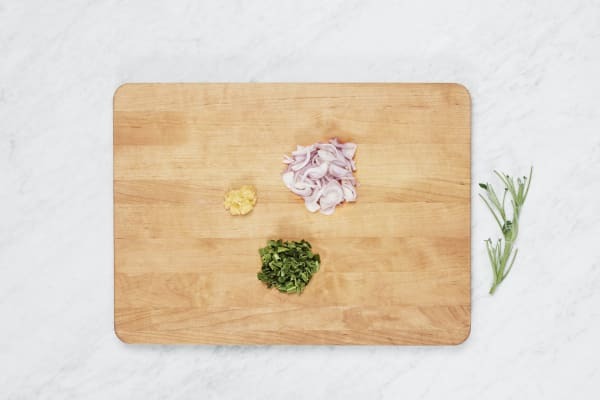 Halve, peel, and thinly slice shallot. Roughly chop sage leaves until you have 1 TBSP. Thinly slice mushrooms. Finely chop garlic. 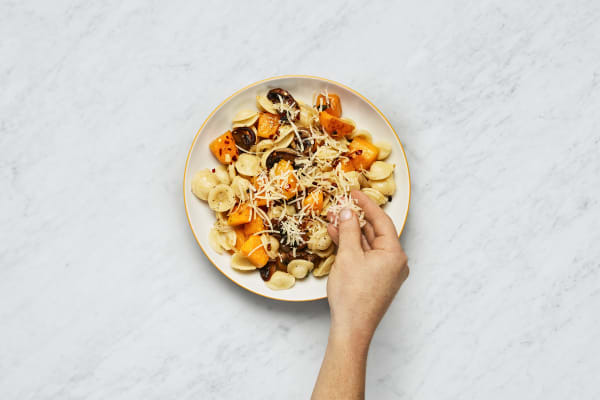 While pasta cooks, in a medium microwave-safe bowl, combine butternut squash and a splash of water. Cover with plastic wrap and poke a few holes in wrap. Microwave until tender, about 2 minutes. Drain if necessary. Heat a large drizzle of olive oil in a large pan over medium-high heat (use a nonstick pan if you have one). 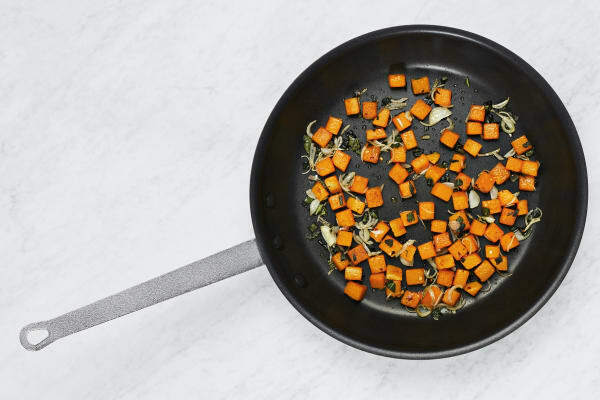 Add butternut squash and ¼ tsp sugar. Cook, stirring occasionally, until browned and slightly crispy, 2-3 minutes. Add shallot and chopped sage. Cook, stirring, until lightly browned, 1-2 minutes. Add a pinch of chili flakes; season with salt. 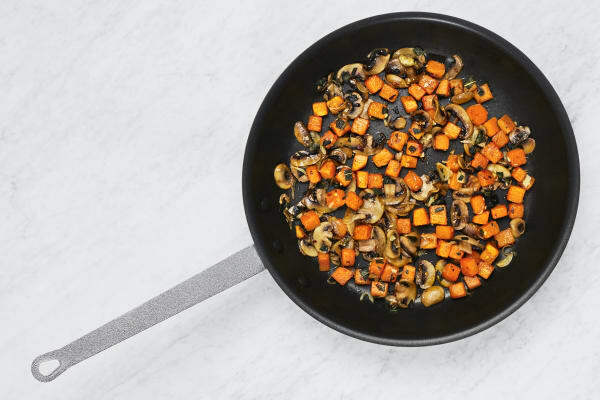 Add mushrooms to pan and cook, stirring occasionally, until lightly browned, about 3 minutes. Add garlic and cook until fragrant, about 1 minute. Season with salt and pepper. Add pasta and 3 TBSP butter to pan; stir until butter has melted. Add reserved pasta cooking water and half the Parmesan; stir until thoroughly combined. Season with salt and pepper. Divide pasta between bowls. Sprinkle with remaining Parmesan and chili flakes (to taste).